I fancy myself minimally materialistic. I won’t lie and say that I don’t like new things– I do, but generally I avoid situations that make me want to purchase items that I don’t need. In other words, I consciously avoid shopping. However, today I gave in. Alex and I went to find new jeans for him and came home with goodies for me. New running shoes, check. Need those to run on the beach. 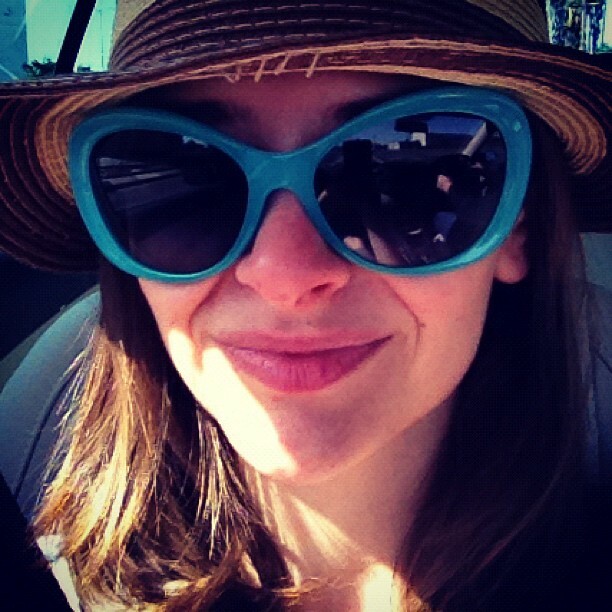 A hat to block the Hawaiian sun from my face, essential. Flip flops to replace the ones rotting from yard work, yep. 1950’s inspired D&G sunglasses to look cute, okay, I didn’t need those, I just wanted them, badly. Thanks to Nordstrom Rack I managed to purchase all of these items for around $160. Not bad when you consider that the D&G glasses retailed for $155 alone. In fact, it’s a rare dose of retail therapy that so far brings zero remorse. Usually, I have a hard time buying anything for myself, anything, and often I end up taking everything back. 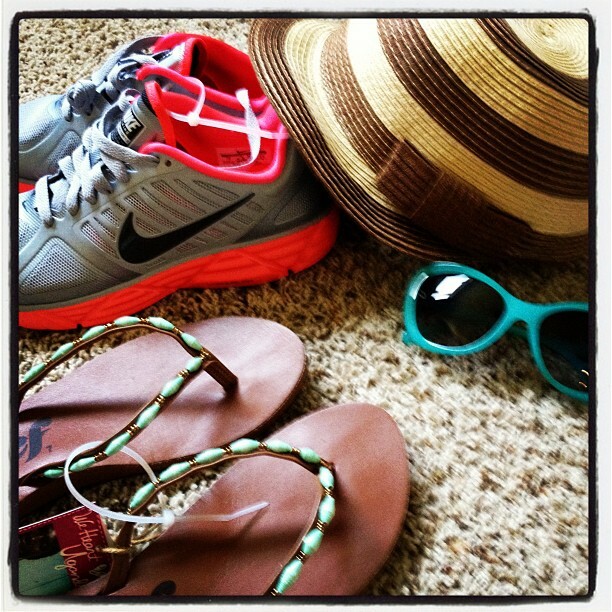 I don’t feel guilty this time is because I justified everything as “necessary” vacation purchases for our summer trip. A stretch, perhaps, but I have always derived extra morsels of anticipation from buying little things to use on vacation. Somehow, these purchases prolong the happiness derived from travel as their imagined use enhances the entire experience. Maybe retail therapy is not the secret to lasting happiness, but sometimes, it really doesn’t hurt. Now I’m officially beach ready!